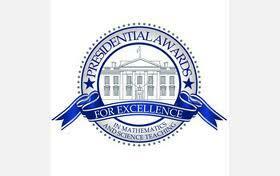 Eight Texas math and science teachers were named finalists of the 2013 Presidential Awards for Excellence in Mathematics and Science Teaching. Texas Commissioner of Education Michael Williams made the announcement about the award which is administered by The National Science Foundation for the White House Office of Science and Technology Policy. It’s the highest recognition a 7th through 12th grade math or science teacher can get for exemplary teaching in the United States. Two finalists work in Coppell ISD. Jessica Caviness teaches geometry in Coppell High School, and Kim Wootton teaches anatomy, physiology, AP biology and forensic science at Coppell’s New Tech High. Ruth Westbrook teaches in the Denton ISD where she is an English and second language (ESL) math instructor in grades 6-8 at McMath Middle School. Jim M. Manley, with the Garland ISD, teaches 7th grade science at Coyle Middle School. Also, Amy Ferguson, with San Antonio’s Northeast ISD, is a math dean and algebra teacher, while Penny Smeltzer teaches AP statistics in the Round Rock ISD. Other science awardees include Michalle McCallister, 8th-grade science teacher in the Fort Sam Houston ISD, and Mark Misage, AP Physics teacher at the Eanes ISD.